I am trying to participate in Threadless challenges more this year (can you tell?). They had yet another great collaboration with The Gap where a number of winning submissions will be sold on Threadless AND at The Gap (what great exposure!). 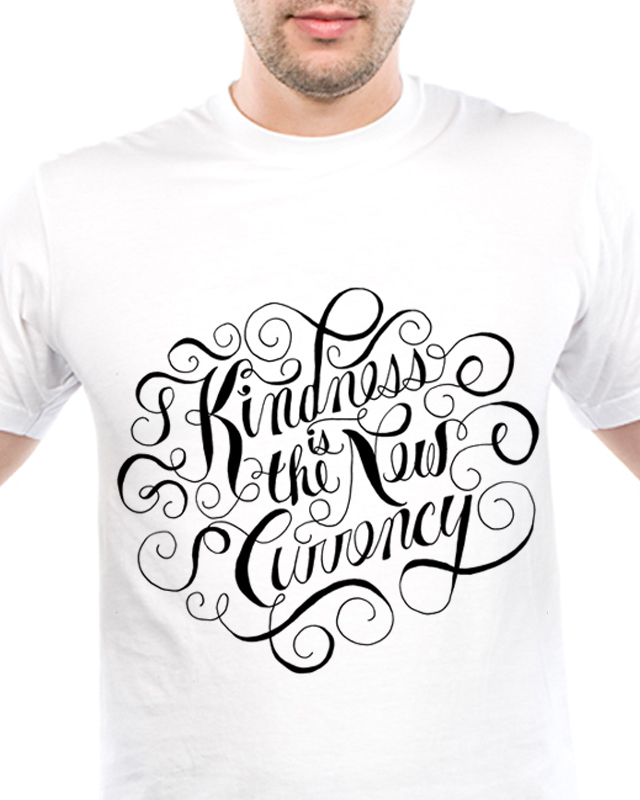 The theme behind this challenge was to create an iconic t-shirt, immediately I new I wanted to do something typographic. 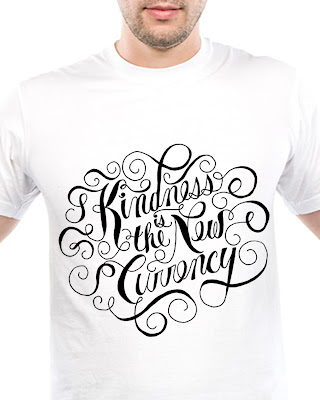 I have been hearing the phrase "Kindness is the New Currency" here and there and when I read about the challenge that was the first thing that came to mind. For a while now I have wanted to do a type treatment using script with lots of ligatures/flourishes and I finally got it done! I am quite pleased with the execution of this one if I do say so myself :D If you like my submission, please vote for it here!